CLEARWATER, Fla., August 13, 2018	(Newswire.com) - Marketopia, the premier full-service marketing and lead generation agency for the IT channel, welcomed James Salame as the company’s new Creative Director in July. 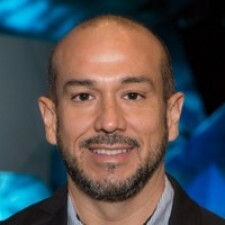 Salame is the former Associate Creative Director of Tech Data, a global distribution company, and brings more than 20 years of marketing and advertising experience to Marketopia. Salame started his career as the Art Director and VP of Marketing for software company Axiom before taking over as the Marketing and Advertising Manager at the Gulfcoast Ultrasound Institute. At Tech Data, he rose from Junior Art Director to Associate Creative Director, overseeing print, digital and video campaigns as well as creative concepting and execution of conferences for IT channel vendors and resellers. About Marketopia: Marketopia is an IT service marketing agency uniquely positioned to serve the needs of software, hardware and cloud vendors, distributors, MSPs, and VARs in the IT channel. Marketopia uses an enterprise-class technology platform, channel marketing experience and deep industry relationships to create a revolutionary approach to outsourced marketing and sales empowerment for IT service companies seeking to grow leads, sales and profit. For more information about Marketopia and its proven demand generation system for managed IT services, visit www.marketopia.com. To learn more now, call 844-482-4769. You can also follow Marketopia on Facebook, LinkedIn and Twitter. The Clearwater-based agency is celebrating a spot at #12 on the Tampa Bay Business Journal Best Places to Work list. New website showcases solutions and services designed to help businesses across multiple industries transform their operations into intelligent enterprises.